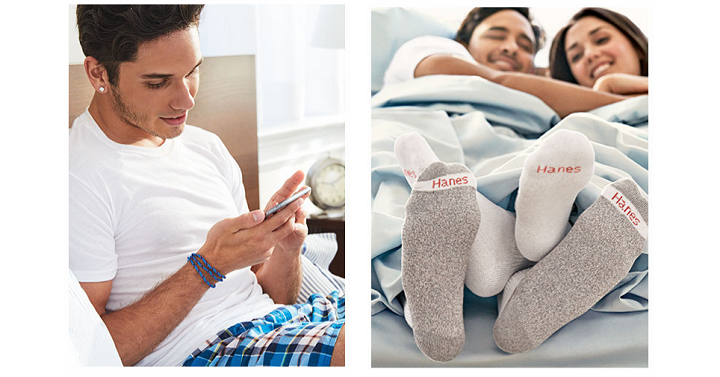 Hanes: Save 15% Off Your Purchase + FREE Shipping! Socks Only $.74 Each! Now for a limited time you can save an extra 15% off your purchase at Hanes! This is awesome time to shop the sales and clearance! You’ll save big on essentials like socks, underwear, shirts and more. Just use coupon code MIDWEEK15 at checkout for the 15% off and SHIPFREE for you guessed it, free shipping!